As of this month, in accordance with new regulatory requirements in the UK, companies with more 250 employees will be required to publish gender pay gap information; and given the overwhelming lack of information in the public domain now…things could get ugly. One would hope that by 2017, 99 years after women were awarded voting rights in the UK, more than 100 years after women had access to higher education, that the state of business operating in the 21st century would be at a point where equal pay rights were a given, and not undergoing a complete overhaul at a global level. The target for organizations will be a more progressive and nuanced discussion and process for ensuring women advance at the same pace as equally talented men. However, when we look at the data we see why we must walk before we can run. In fact, it’s quite clear that some industries are patently not ready for this development. Data on ‘Fair remuneration’ from the 2016 annual financial reports of companies in the Financial Services sector shows that across a sample of more than 300 companies headquartered in Europe, not a single one is providing detailed explanations of reporting and practices related to fair and equal pay across the genders, as shown in the image below (left). The outlook is similarly sparse in Sustainability Reports as you can see on the right. Two companies put a high level of emphasis on the topic, and neither of those are UK businesses. At the beginning of April 2018, all employers with more than 250 staff have a mandatory requirement to capture their pay data across various criteria. Given the current state of play, it raises the question: how severe is the risk of reputational damage likely to get over the next year? These early indications from the current corporate reporting landscape suggest that the Financial Services industry could be among the worst, but companies across all sectors are struggling to manage this issue. Tesco, for instance, reveal in their latest Financial report that their gender pay gap in 2014 was less than 1%. However, they also conceded that this will require recalculation under the new legislation. Schroders published their figures and revealed that there is a 31% mean gender pay gap among their staff. Virgin Money was uglier still with a 36% mean gender pay gap. These figures are merely the beginning of what will seemingly be a highly scrutinised process for determining the overall extent of the gender pay gap in the UK. Social media is an active participant in the conversation between business and society, and there many instances such as this one, where companies and individuals alike are getting behind one audacious young man and his quest for free nuggets. Social media provides an open forum for companies and society to interact, and there is a genuine case for the utility of social media to participate in the conversation on fair remuneration. We reviewed Twitter analytics from the last 6 months on the topic of Fair Remuneration, and the analysis shows that International Women’s Day (right) and Equal Pay Day (left) represent two of the most highly discussed issues. These events suggest that public opinion supports the regulatory changes. Social media data demonstrates that it is the combination of drivers that business need to consider; regulatory pressures can be anticipated, social media trends can be monitored, and brands all over the world can learn the trends that will be important to business. What Can Businesses Learn Here? Early identification of the issue, and examples of best practice from peers, through reporting and regulatory technologies can help companies to track initiatives and activate the change management required to implement new standards in their business practices. In this instance, the UK Government released the draft regulations on 12 February 2016. This allowed companies a grace period of more than 24 months to address this issue and take action. It’s possible, albeit a bleak truth, that there may be so many instances of severe pay gaps across corporations, it’s unlikely that only one company will feel the brunt of a media scandal on the topic. Nevertheless, regulatory influence on the issue of gender pay gaps is a trend that is gathering pace. Iceland are perhaps the most eyebrow-raising example here. Their government has announced a 2022 plan to pay employees equally “regardless of gender, ethnicity, sexuality or nationality”. I f companies cannot prove that their employees benefit from fair remuneration, they could face daily fines up to 50,000 ISK each day. (Link: Clients only or available on request) Germany’s Remuneration Transparency Act is likely to come into force by the summer of this year. The EU is discussing a similar directive, but will then require the lengthy process of individual country transposition afterwards. The US doesn’t offer anything as specific on mandatory disclosure of the gender pay gap but the Pay Transparency Executive Order prohibits federal contractors from firing staff for talking about their pay. The requirements are numerous and require company attention, but regulatory technology ensures that these developments don’t require heavy legal fees, and can be identified early as they begin to move from soft to hard law. Moderating a session on Gender Quotas, at a recent UN Global Compact Canada event, Susanne Katus, VP of Business Development for eRevalue in North America said: “International Women’s Day and Equal Pay Day are really driving conversation…this reinforces the value that the public can play”. The Twitter vernacular, the so-called ‘courtroom of public opinion’ as it were, demonstrates that this is a popular social issue, and it is up to businesses in the UK and beyond to show that women have an equal place in business, and to join the conversation on how to drive business in the direction of equal pay. Also on the panel, Anne Drost, Partner at Blakes said: “I am fascinated by the progression of soft law evolving into hard law. We saw this with anti-corruption and bribery, for instance, which now is the subject of hard law in many jurisdictions around the world. Soft law is often a signal as to what’s to come in the future in the form of legally binding requirements.” Anne Drost, Partner at Blakes Watch the full 75 minute session here (Susanne from 21:20 minutes). Datamaran and Blakes will host a series of roundtables in Fall 2017 to discuss how companies can prepare for emerging regulatory risks and opportunities. A white paper showcasing emerging regulatory trends in North America and Europe will complement this discussion. 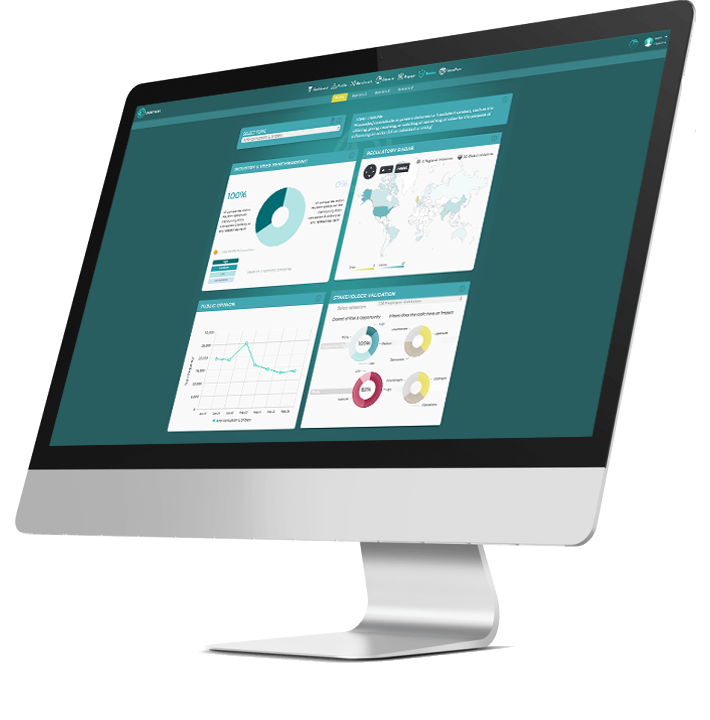 This will be based on Datamaran’s proprietary database of over 3000 regulatory initiatives impacting corporate transparency on ESG, covering both soft and hard law initiatives. 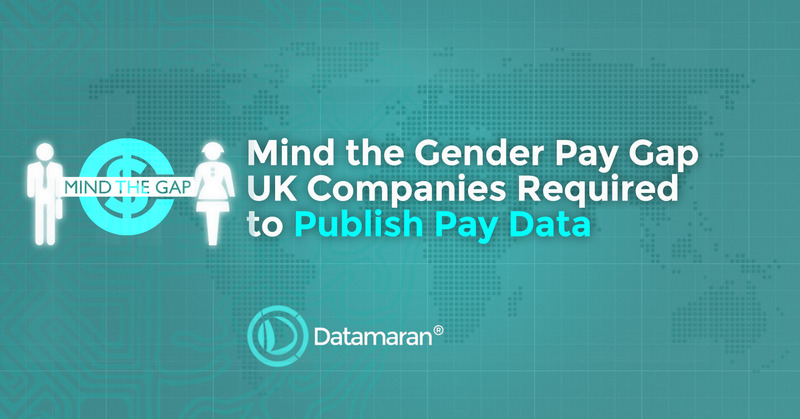 Search for best practice amongst your peers by searching “gender pay gap” in Datamaran Research today.